Welcome to the Designs by Shoshana blog, where glass art fans and aficionados can learn even more current news and information about the entire industry. If you enjoy browsing through the inventory of vases, jewelry, wall hangings and glass sculptures available through the main part of this website, or you’ve even purchased a piece or two, you’ll certainly enjoy getting to know more about this exciting and highly functional art form. The glass pieces you’ll see on my website are mainly constructed from dichroic glass. This style of glassmaking involves the use of many layers of metals and oxides that add a unique visual effect to the glass. Because of this, dichroic glass can portray different colors to a viewer’s eye when it either reflects light or transmits light through the glass. 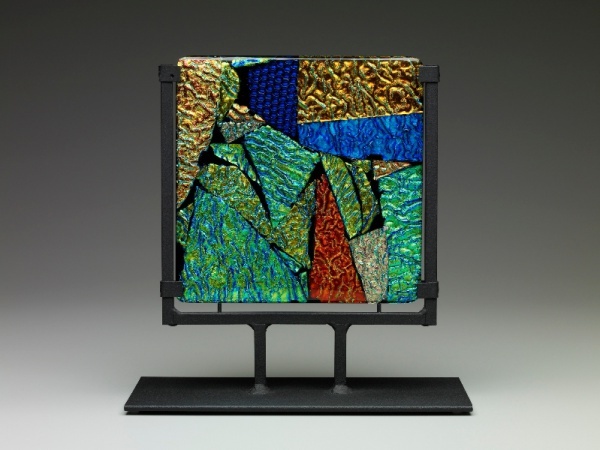 Dichroic glass, of course, is only one style of manufactured glass art that you can find from glassmakers in this country. Many design firms use a diverse assortment of methods in creating intricate glass pieces that either serve a practical purpose or dazzle the eyes, or both, as is often the case. For many of the small companies and solo designers across the United States, membership in a trade organization can be crucial for staying aware of new developments. 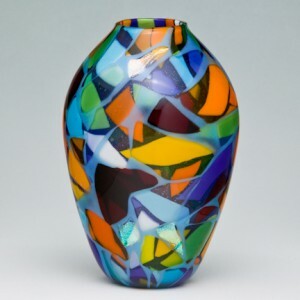 The Glass Art Society (GAS), an international non-profit founded in 1971 and based in Seattle, is dedicated to increasing education and promoting the development of the glass arts all over the world. Membership in the Glass Art Society is helpful to artists and fans of the art form in a number of ways. Besides from receiving the society’s annual Journal, as well as online issues of the society’s newsletter, members get access to classified ads and business database information only available through the GAS. Membership also brings a number of discounts for important business services, including FedEx, Hertz and LTL Freight. Students are also eligible for membership, but receive slightly limited benefits until they graduate and become a professional. The Glass Art Society also coordinates a number of events where glass artists and their fans from all over the world can meet. The GAS’s next conference will take place in Chicago during late March 2014. Exhibits at the conference will show off many methods of glassmaking, from flame working to cold working, and events include tours of Chicago glass design as well as a collector’s tour for those who enjoy amassing large stores of brilliant glass artworks. Thanks for taking a minute to stop by and check out the Designs by Shoshana blog. For more information about the Glass Art Society, visit their official website. We hope to see you back here soon to learn more about the exciting world of glass art!